With rising skin cancer rates and attitudes towards sun safety slipping, community pharmacy can help remind people of the importance of optimum sun protection. Heather Walker, chair of Cancer Council Australia’s National Skin Cancer Committee, says, “With two in three people diagnosed before the age of 70, most Australians know the toll skin cancer can take. Many Australians have also grown up with the SunSmart and ‘Slip! Slop! Slap!’ messages. However, while Australians might be familiar with the message, not enough people are actually putting the sun protection steps into practice. less than 10% of people understand that sun protection is required when UV levels are 3 or above. With many Australians misinformed about sun safety, pharmacists and their staff can help dispel common myths while also educating people on the key facts. Regarding concerns about the safety of sunscreen, Walker says, “Sunscreen is strictly regulated by the Therapeutic Goods Administration (TGA) in Australia. This ensures all sunscreens are safe and effective. “Sunscreen is an important skin cancer prevention tool, along with clothing, broad-brimmed hats, sunglasses and shade. There is a wealth of research showing that not only is sunscreen safe for daily use, but also that regular use of sunscreen prevents skin cancer, including melanoma (the deadliest form of skin cancer). Perhaps the biggest issue with sunscreens is the fact that most of us don’t apply them correctly. Walker advises, “Australians aren’t applying enough sunscreen or re-applying it often enough, and people are getting sunburnt as a result. “One study showed that as many as 85% of Australians don’t apply enough sunscreen. A full body application is 35ml or seven teaspoons. That’s a teaspoon for each limb, the front and back of the torso, and one for your face, and neck and ears. “Many Australians will go to their pharmacy to choose a sunscreen, so pharmacies can definitely play a role in helping to increase education regarding correct application. It can be as simple as including this knowledge when providing advice on sunscreen products or even by making information available in-store with posters, leaflets or displays. 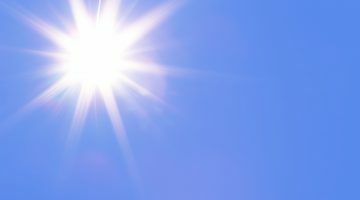 Walker adds, “The sun’s ultraviolet (UV) radiation is the major cause of skin cancer in Australia, as well as sunburn, tanning and premature ageing. However, you can’t see or feel UV radiation and levels can be as high on a cool, cloudy day as a hot, sunny day. This can catch people out”. Sun protection is recommended whenever UV levels reach 3 or above, he advises. To make sure they’re are protected when they need to be, Australians can check the forecast for their location on the free SunSmart app, visit here or check the Bureau of Meteorology. “Prevention is always better than a cure. 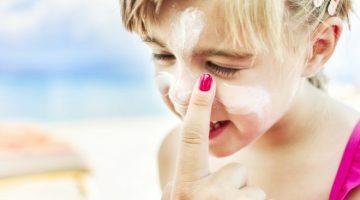 Pharmacists are in an ideal position to educate Australians about sun protection and reinforce the importance of skin cancer prevention at every age,” Walker said. Pharmacist Karen Brown from TerryWhite Chemmart Samford, QLD, says, “Using sunscreen correctly is very important. There’s a wide breadth of sunscreens available, so making sure customers are selecting the best one for them is essential. “We need to consider whether it’s being used for sport or everyday use and what the SPF is from a UVA and UVB perspective,” she says. She says pharmacists and their staff need to be aware of the differences between some of the more basic sunscreens and the dermatologist recommended sunscreens. Walker advises that a ‘broad spectrum’ sunscreen should be recommended as this protects against both types of radiation—UVA and UVB. Helping customers understand the different sun protection factors can also be useful. According to the Australasian College of Dermatologists’ (ACD) position statement on ‘sun protection and sunscreens’, SPF50+ filters out 98% of UVB radiation compared to 96.7% blocked by SPF30+, while SPF15 filters about 94% of UVB radiation. “It’s common for people to ask about sunscreen for babies and for sensitive skin,” says Brown. Both the ACD and Cancer Council advise that the widespread use of chemical sunscreens for babies less than six months of age is not recommended. Instead sun protection is best provided with shade, clothing, hats and physical sunscreen and by avoiding prolonged outdoor exposure during the middle of the day and when the UV index is 3 or above. Walker says those with sensitive skin can use a sensitive sunscreen formula. “These are designed to contain fewer ingredients that could be potentially irritating to sensitive skin, for example fragrance. “Reactions to sunscreen are pretty rare. Less than 1% of the population will have a reaction but it’s worthwhile doing a patch test if you have sensitive skin. Dermatologist Dr Anina Fitzgibbon advises, “There are a number of pharmacological agents that increase the risk of sunburn or phototoxic reactions. Doxycycline, thiazide diuretics and oral retinoids, such as isotretinoin, are among the most commonly problematic agents. “Pharmacists should also be advising patients when they dispense medications that increase sun sensitivity. We have quite a few sample sunscreens we give out to people, particularly those patients using acne treatments,” says Brown. “However, pharmacy can also play a role in helping people to treat their sunburn,” she adds. Dr Fitzgibbon advises, “Prevention of sunburn is ideal, but if a person does present to the pharmacy with sunburn they can be advised to use a hydrocortisone cream twice daily for a few days for symptomatic relief as well as avoiding further sun exposure of the areas affected. “While pharmacists are an important port-of-call for answering questions about sunscreen, they can also support early detection of skin cancer by encouraging Australians to get to know their skin and to see their GP as soon as possible if they notice a new or changing spot,” says Walker. The ACD reports that the incidence rate of melanoma almost doubled between 1982 and 2016, increasing from 27 to 49 cases for every 100,000 people. However, the earlier skin cancer is detected and diagnosed, the greater the chance of successful treatment. Cancer Council recommends people keep an eye out for changes in size, colour or shape of moles or spots. It says the ABCDE of melanoma detection can act as a useful guide. “Pharmacists can play a vital role in recommending people have a regular skin check, particularly those who are at higher risk,” says Brown. Risk factors for skin cancer include fair complexion, particularly Fitzpatrick Type 1 skin, increased number of common moles or unusual moles, weakened immune system or a personal or family history of skin cancer. Cancer Council is calling on the Federal Government to invest in a national skin cancer prevention campaign to make sure everyone is reminded about what they need to do to protect their skin and to take action to do it each summer.